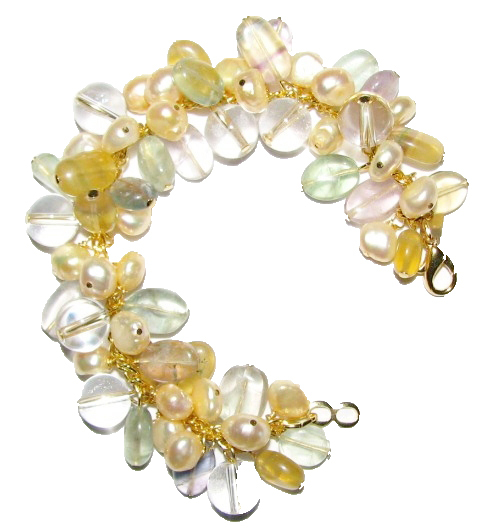 Beautiful healing bracelet made with fluorite, quartz crystal and freshwater pearls, gold plated chain, signed Julia Bristow. Your bracelet will vary slightly from that shown as this item is custom made at time of order. Please allow 4 weeks for delivery.